Camp Karolina is a campsite with 60 touring pitches. During low season, between 20-04-2019 - 30-06-2019 and 01-09-2019 - 13-10-2019, the nightly rate is €16,- at one of the 60 touring pitches at Camp Karolina in Planá (Plzeň). At this campsite you can not only use your CampingCard ACSI for inexpensive camping, you can also use your ACSI Club ID (as an alternative ID). 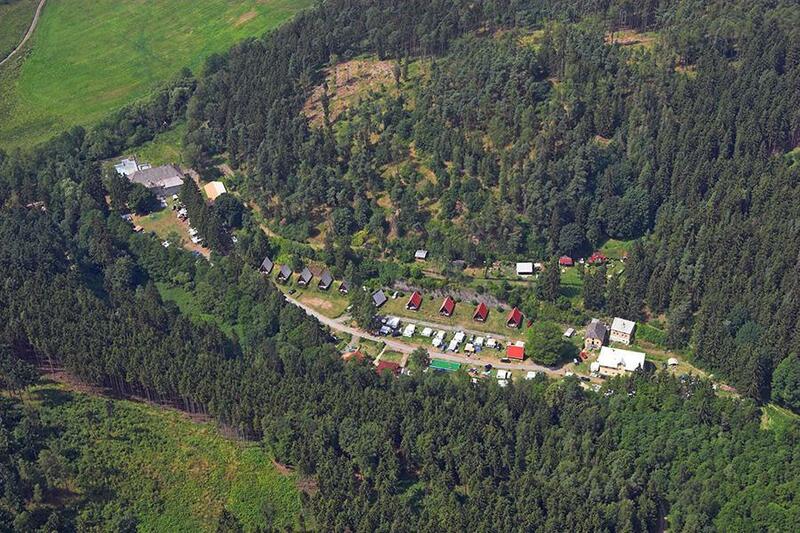 Campsite with idyllic location in wooded area, with modern heated toilet facilities. Perfect location for visits to Prague, Plzen, Karlovy Vary, Marianske Lazne and Cheb. Free wifi. Bistro on the campsite. Senior citizens and child friendly. 9.5 km from the motorway. We were here at the end of September. The toilet block is unfinished with no locks on doors, no toilet paper dispensers but there wasn't any toilet paper anyway. Operator didn't speak much English. The road in is very narrow and potholed so hope you don't meet one of the many constitution vans. Kids play area is brilliant. No washing machines and hit and miss with hot water and shower drains blocked so you're paddling before you finish. End of season sure but facilities should be available until they close. This campsite has quite a lot of history attached to it as it was a former Holiday Camp for Skoda Employee's Children. Currently however there is no Wi-Fi on the site and the Mens Toilets are being refurbished so everyone is using the Ladies Loo's! The site however is in a nice location and quiet while the access road is a bit narrow in places if you meet another unit or car coming towards you. Would you like to book Camp Karolina or request more information? You can do both using the information below. From Planá take road 21 towards Bor. Clearly marked with campsite signs. 10km from the Nürnberg-Praha (Prague) motorway. From Bor you will pass 1800 metres of pretty countryside to the campsite, water and forest. CampingCard ACSI will send your information request to "Camp Karolina".